Other notable award winners were Team Zero for lowest total score and Zach Moore with the most strikes. Zach is the son of Panel Line worker Tim Moore, and actually had to compete in a “strike-off” against Panel Built draftsman Ken “Copperhead” Carpenter, who was recently bitten on the finger by a Copperhead. 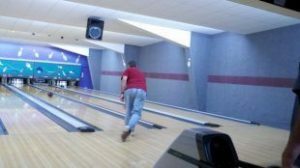 Unfortunately for Ken, the bite was on his non-bowling hand and therefore, was no excuse.